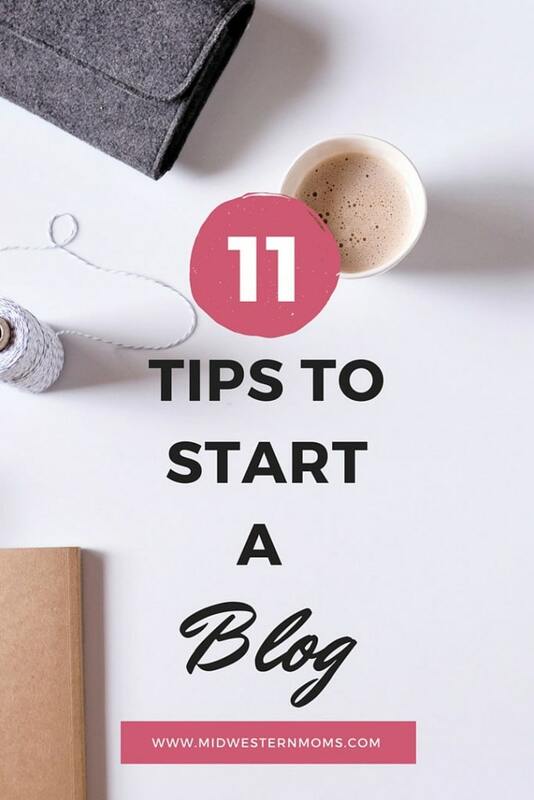 So you have tossed the idea around of blogging but not sure where to start? These 11 tips to start a blog will help you get the wheels turning on your new adventure. What is your passion? When you start your blog, you want to write about topics you enjoy. Your passion about a topic will help to bring readers to your blog. Do you like recipes, crafts, fashion, travel, gardening, life? Possibilities are endless. Write what speaks to you. Choose an appropriate blog name. Make sure you really give this some thought. This is your brand, your business, your identity. Think about the long term when deciding on your blog name. When you decide on a name, make sure to purchase your domain. Do you want your blog to be a leisure activity or do you want to evolve it into income someday? This will determine what type of blogging platform to choose. It will also determine the amount of work you put into your blog. Determine your goals before getting too far. Hosting – There are a few different ways you can start your blog. You can go the free route and use blogger or wordpress.org. However, there are limitations to these platforms. Income being one – wordpress.org does not allow you make an income. If your plan is to make even a small amount of money off your blog – skip it. Don’t even go there. Save you a headache of transferring later. I believe blogger will allow put ads on your site. The HUGE issue with these free platforms – ownership. Guess what, you don’t own your blog using these platforms. Google owns blogger and you have to be very mindful of their terms and conditions. I have never used either of these platforms for my sites or blog. I HIGHLY suggest self-hosted WordPress. It is yours and WordPress is extremely easy to work with. You can get a variety of WordPress themes to help customize your blog and they are usually very cost effective. I also strongly recommend Genesis Framework. Places I recommend for WordPress Themes: ThemeForest, WPZoom, Studio Press, Pretty Darn Cute. Social Media Accounts – You will need to set up social media accounts for your blog. The main ones are – Pinterest, Facebook, Twitter, Google+, and Instagram. Social Sharing – No matter the platform, you want to be able to share your content and you want others to share it as well. A plugin that I highly recommend is Social Warfare. It loads quicker and has different options. The main difference between the two is that Social Warfare is a paid plugin. I do think it is worth the money and the price isn’t bad at all. Writing Content – You need to write quality content. Your content is what will keep bringing people to your blog. Inform readers, teach them something new, make the reader want to keep reading and coming back for more. This will help develop loyal readers. Visuals – We live in a visual world. Make sure your content has at least one photo. Most photos will be your own, however, you can use stock photos as well. It just depends on your content or particular post. DO NOT use other people’s photos without permission. DO NOT just go to Google images and use a photo – you could get hit with a nice copyright lawsuit. No one has time for that. Monetize – Best thing for a new blog is to sign up for Google Adsense. You can use other ad networks as you build your blog. Most will have pageview minimums. Be Yourself – Your blog is your voice. Your content needs to sound like it is something you would write. Also, be honest with your readers. These will help you build a strong relationship with your readers. Don’t forget to live your life – Having a blog can take over your time. Don’t forget to take time for yourself and family. Now take these 11 tips and go pursue your dream blog! What are your plans for the blogging world? If you set up a blog after reading these blogging tips, tell me about it in the comments!